Sciblogs | On the Shoulders of Giants? 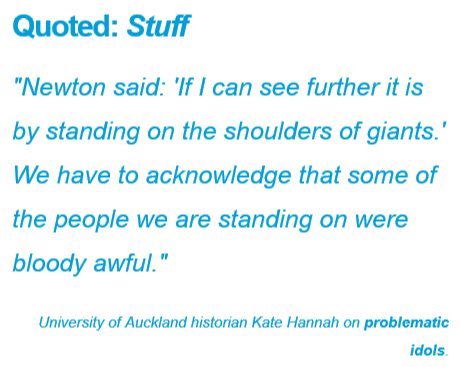 Isaac Newton is often thought to be the inventor of the apparently self-deprecating phrase ‘If I have seen further it is by standing on the shoulders of giants’, but he was not: actually it had been in use for over 500 years before he repeated it in 1675. Of more significance is that Newton wrote it in a letter to one of his great scientific rivals… who may have been a hunchbacked dwarf. Now, Newton actually wrote something along those lines, rather than said it. That is important because we know precisely what he wrote (and to whom), and so we do not need to depend on hearsay. But leaving pedantry aside, as I have noted in the heading of this piece it was not original to him by any means. The first-known fielding of that metaphor was apparently by Bernard of Chartres in the early 12th century (or possibly in the late 11th). The best-known employment of the statement is undoubtedly that of Sir Isaac Newton, though, and this seems to have led to the mistaken belief that he originated it. The letter, written by Newton to Robert Hooke in February 1675, is held in the collections of the Historical Society of Pennsylvania, in Philadelphia. The HSP has generously made a scan of that letter available to all in its digital library; the statement appears about two-thirds of the way down the first page of the letter. The thing is this. 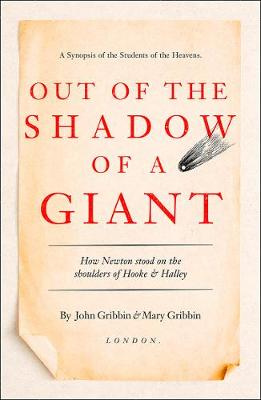 Newton and Hooke were huge rivals, and fell out over priority for various scientific discoveries in optics, mechanics, and other areas of what we now term physics. A little example. In high school and first-year university physics one learns Hooke’s Law of Elasticity. This says that the extension (of a spring, or other material) is directly related to the force/weight applied. Hooke published his discovery thus: ceiiinosssttuu. Make sense? Only if you know how to re-arrange the letters: ut tensio, sic uis (in Latin). In English: as the tension, so the extension. 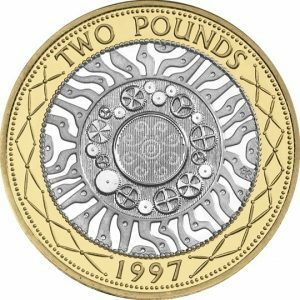 This was not only a significant scientific discovery, but also a matter of technological (and potentially economic) benefit: think about how spring weighing scales work, or how this might be vital in the quest to make a clock or watch would would keep time accurately on a ship (where a pendulum clock is useless). Yes, flea. This applies to a metallic wire on which varying weights are hung. Y (Young’s Modulus of Elasticity) equals the force F (i.e. the weight) times the length of the wire L divided by the product of the extension of the wire that results e and the cross-sectional area of the wire A. As time went by, the relationship between Newton and Hooke decayed, and the former ascended to greater heights than the latter. Most people have heard of Newton; few know of Hooke. Whilst Hooke was seven years older than Newton, he died in 1703, more than two decades before Newton’s expiry, and in the very year that Newton became President of the Royal Society (of London), a post he held until his death in 1727. This is pivotal for the way that history recognises one over the other: Newton, with ‘PRS’ after his name, set about obliterating Hooke’s reputation. Indeed it is thought by many that Newton had all portraits of Hooke destroyed: several paintings of Newton remain, yet there are no contemporary portraits of Hooke. 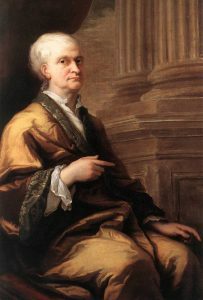 Sir Isaac Newton in old age: a portrait from 1712 painted by Sir James Thornhill. Without a portrait of Hooke in oils painted at the time, we can know little about the way he appeared in real life. Whilst he was apparently not short, as such, neither was he tall; and he was of slight build. It is also known that from an early age he suffered from kyphosis, a severe convex curvature of the middle spine often termed ’roundback’. 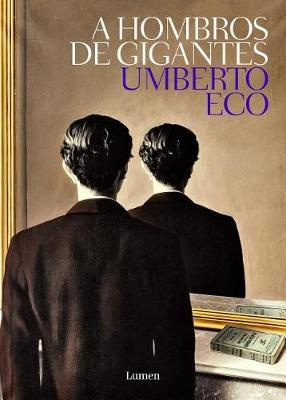 Whilst he might not have been, technically, a hunchbacked dwarf, certainly he was not a giant, and his shoulders were not fit for anyone to stand on. 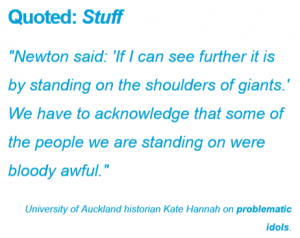 This realisation has led to some debate during recent decades over just what Newton intended to convey when he wrote to Hooke that “If I have seen further it is by standing on ye sholders of Giants.” Some suggest that it was a savage insult, a highly-personal put-down of Hooke, Newton effectively saying that his work was not based on anything that Hooke might have contributed. Others disagree. What we can be sure of is that neither of them were saints. 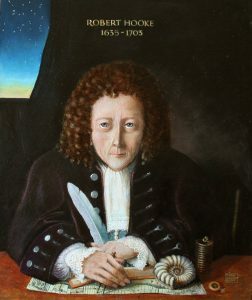 Robert Hooke, in a portrait painted in 2004 by Rita Greer, based on contemporary accounts of his appearance. 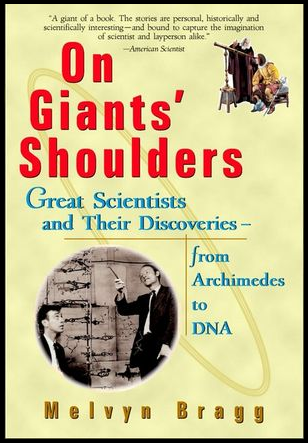 In the paragraph quoted by Kate Hannah, then, she is entirely correct to state that some of those whose shoulders we are standing on “were bloody awful.” In reading what I wrote above you may have developed some sympathy for poor deformed Robert Hooke, whose memory was despoiled by big bad Isaac Newton. Let me disabuse you of that notion. There are many tomes dealing with Hooke in terms of the history of science and his contributions, but more-accessible accounts of the man himself are also available, and I would recommend The Curious Life of Robert Hooke (2003) by Lisa Jardine. A few points to ponder… Hooke engaged his niece Grace as a housekeeper, and had an incestuous relationship with her which he recorded in detail in his diary. He had sexual connections (being polite) with various other housekeepers, though he did not record those so diligently, at least one of these resulting in a child of which Hooke denied paternity. If you’ve ever read the unexpurgated version of Samuel Pepys Diary, of much the same era in England, you will know that these were days of ribaldry and lewdness in which pretty much anything and anybody were considered fair game, but Hooke’s diary could make even the most unshockable blush. I mean, he left us vivid accounts of his onanistic activities. In summary: Hooke, like Newton, was a nasty piece of work. As Kate Hannah wrote, they were bloody awful, as people. 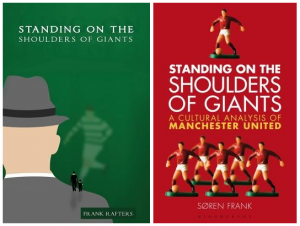 Let me now get back to the title of this blog post: On the Shoulders of Giants? 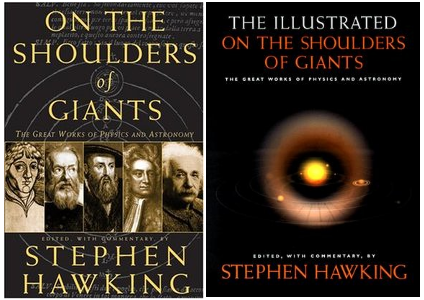 Many other science books have exploited OTSOG, but let’s not be boring. 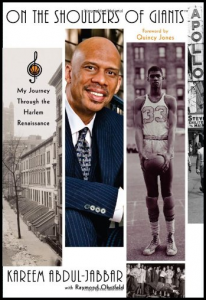 It seems a natural for the autobiography of a basketball player, does it not? 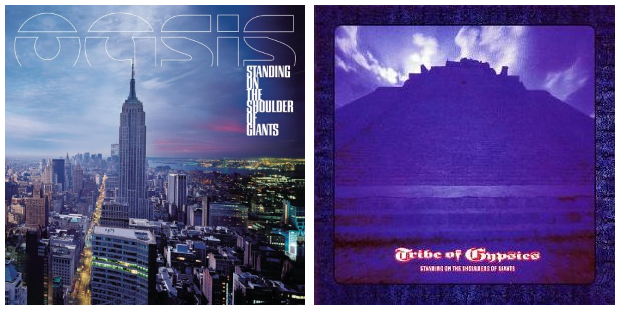 You may have noticed that the Oasis album title features only one shoulder, and that apparently stems from Noel Gallagher (one of the two brothers forming the basis of the band) noticed the inscription SOTSOG on the milled edge of a UK two-pound coin. He was drunk at the time (not an unusual state for the Gallaghers) and wrote it down on a cigarette packet, managing to miss the final letter in SHOULDERS. 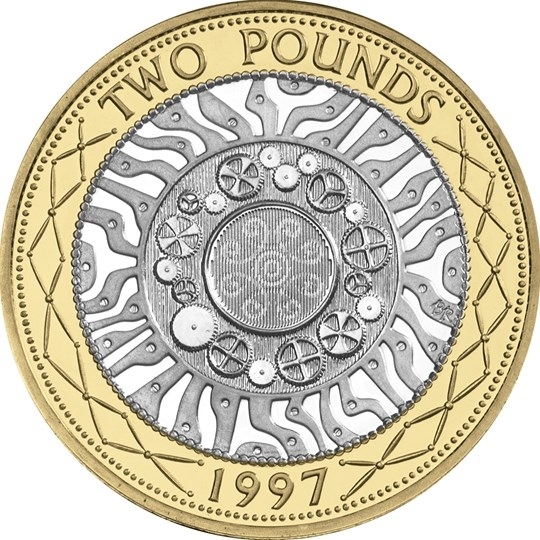 When this coin was introduced into circulation in 1997, the Royal Mint (of which, by the way, Newton was Master for three decades) trumpeted how its design was intended to celebrate “the History of Technological Achievement”, therefore copying Newton’s statement on its perimeter (though with “Shoulders” containing a “u”). Only one problem. Count the interlocked cogs forming a circle around the centre of the design. There are 19. That means they will not budge: there has to be an even number if they are to be able to rotate in such an arrangement. Think about it. On the shoulders of giants? There’s a lot more that could be written. But, for now, I am out of space. *The photograph of the stack of coins that forms the heading illustration for this blog post has an Attribution-NonCommercial-ShareAlike 2.0 Generic (CC BY-NC-SA 2.0) license; this means that it may be shared or indeed adapted for non-commercial purposes so long as an attribution/credit to the original source is given. This creator was user reway2007 on Flickr, and the original appears here. Thanks reway2007! Addendum March 21st: On re-reading this post I realise that I forgot to mention some points which I had intended to make in connection with Newton’s letter to Hooke. These thoughts are highly-speculative, and some might well find them even absurd. (a) Newton seems to have used a capital letter to begin the word “Giants”, despite it being the last word in the sentence. If one were being uncharitable towards Newton, one might suggest that this was to accentuate that Hooke was by no means a giant (either physically or, in Newton’s estimation, intellectually). (b) On the spelling of “sholder”: whilst one might note that word spellings can be fluid in any language and/or Newton may simply have slipped up (e.g. earlier in the letter he wrote “yeild”), and also that “sholder” is a known variant in Middle English, if one were again uncharitably-inclined towards Newton then one might interpret the missing letter u as indicating that he was saying ‘not you’ to Hooke. I would not indulge myself even further by wondering whether this should be regarded as being U or non-U word usage.